Growing pains usually affect kids around the ages of 3-5 and 8-11. Has your child ever complained of sore legs in the afternoon or evening? They might be experiencing growing pains. It can be distressing when your child is in pain, for you and for them. Find out more about growing pains, what the symptoms are and how to help, below. Growing pains are a mysterious but common complaint in young children, usually affecting boys and girls aged 3-5 and 8-11. Some children continue to experience growing pains during adolescence. Growing pains are diagnosed by a process of elimination. If you’re concerned about your child’s pain, your GP will eliminate other possible causes like flat feet, infection or arthritis. You should always take your child to the doctor if they have severe pain, pain in only one limb, pain during the day (growing pains occur in the late afternoon and evening), or other symptoms such as fever, rashes, loss of appetite, swelling or redness in the affected area or limping. These achy pains occur in the muscles, not the joints, usually hurting in the calf, behind the knee and in front of the thigh, though arms might hurt as well. Growing pains affect both legs or arms at once: pain in only one limb may point to another condition and should be seen to by your GP. Some children also get headaches at the same time as growing pains. Growing pains shouldn’t make it hard to walk, run or play normally, and won’t cause a limp. The pains don’t get worse when moving or exercising, though some children will find the pain worse after they’ve been doing a lot of activity (but this pattern isn’t the same in all children with growing pains). Talk to your doctor before changing your child’s physical exercise habits because of growing pains. Unlike pain caused by some illnesses or injury, limbs affected by growing pains aren’t sore to touch. In fact, cuddling and massaging the area might help your child to feel a little better. 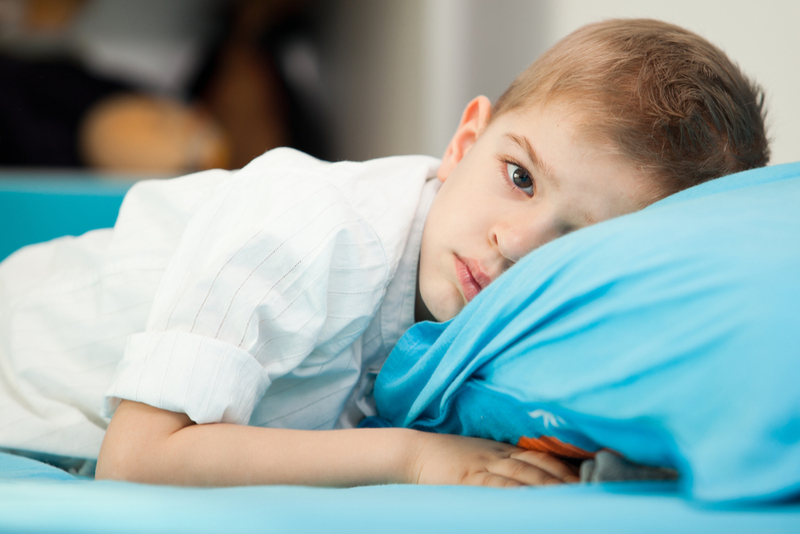 Growing pains occur in the afternoon and evening, and might be severe enough to wake a child up during the night. Growing pains can come and go: some children might experience them every night for a few weeks and then not again, others might have growing pains intermittently over months or years. While their name suggests the pain is caused by growing, the cause of growing pains isn’t yet clear. People commonly assume that growing pains are caused by bones stretching, but even during a growth spurt bones grow really slowly, too slowly to cause pain. The good news is that growing pains do pass and cause no damage to bones or muscles. In the meantime, though, knowing how to comfort your child when they’re in pain can make the period pass more easily. Make your child comfortable and try to help them to not worry about growing pains. Give them lots of cuddles and reassurance that growing pains won’t hurt anymore in the morning and that they’ll stop happening soon. Gently massaging the area and using heat treatments like a warm bath or warm heat pack, might ease growing pains. You can also use medicines to help reduce pain, like paracetamol. Talk to your GP or pharmacist about appropriate medicines for your child and always read the label and instructions to make sure you’re using them correctly. Children around these ages often experience a type of heel pain caused by a condition called Sever’s disease, or ‘calcaneal apophysitis’. Some people think this pain is the same as growing pains, but while the two conditions have a lot in common, they have different causes and treatments. Like growing pains, Sever’s disease is very common and comes and goes in children aged around 8 to 14. The condition is most common in children who are very active. Sever’s disease doesn’t usually cause any long term problems. Unlike growing pains, we do know the cause of Sever’s disease. This condition happens when the calf bones grow faster than the Achilles tendon. Because the Achilles attaches to the heel, the fast growing bones can pull the tendon tight around it, making the heel bone sore and swollen. When the growth of the bones and the Achilles tendon evens out, the pain will stops occurring. Sever’s disease can be treated by applying ice to the area, stretching the calves and wearing comfortable, supportive shoes. Find out more about how Sever’s disease is diagnosed and treated on Health Direct.